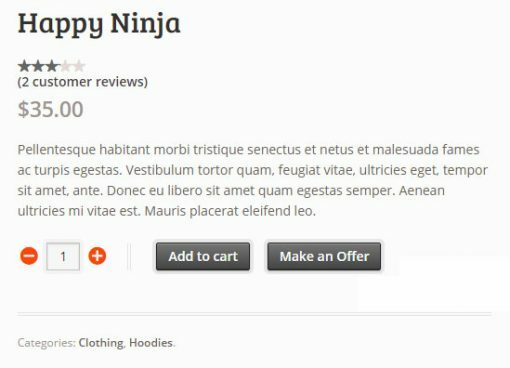 Add the power negotiation to your WooCommerce store! 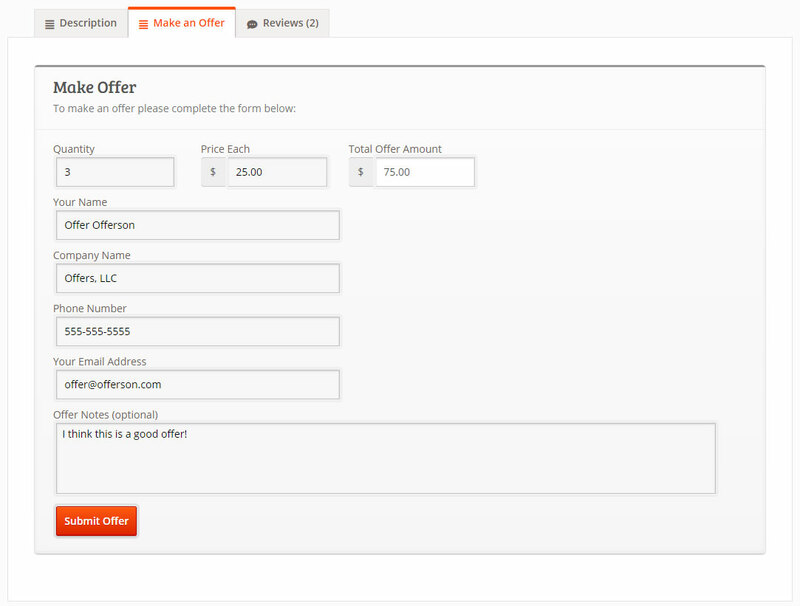 Our WooCommerce offers plugin allows potential buyers to “make an offer” for products on your web site. You may then accept, decline, or counter the offer, and counters may go back and forth until an agreement is reached. Allowing potential buyers to submit an offer for products in a WooCommerce store can be a very powerful thing. Negotiation tactics come into play which can not only be fun, but will also certainly increase your sales. “Wheenling-and-dealing” is human nature. This is something that is often forgotten in the world of online shopping, although, if you are an eBay seller you probably already understand the power of offers. Adds a “Make an Offer” button to products on your WooCommerce web store. 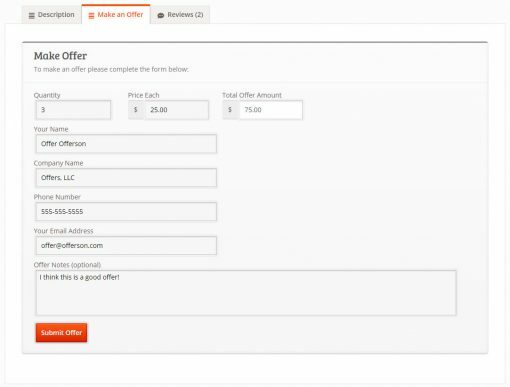 Provides a “Make an Offer” form where users can enter the QTY and price for the item they’re interested in as well as their contact information. Email notifications for new offers, accepted offers, counter offers, and declined offers are sent to both the buyer and the site owner. Manage offers from your WordPress control panel through WooCommerce -> Offers just like you would with your WooCommerce orders. Options to enable/disable offers at the product level as well as options for handling inventory tracked items based on how the WooCommerce settings for back-orders are configured. Offers open a direct line of communication with a potential buyer interested in a specific product. Increased conversion rates. Negotiation is a powerful sales tactic. Accepting an offer or providing a counter offer that the buyer agrees to gives the buyer a “winner” feeling and can entice them to complete an order when they may not have otherwise. This can directly affect the conversion rate on your website. Opportunity to up-sell. With open communication your sales team can work their magic. For example, imagine you have a product listed for $100 and you have 20 of them in stock. A potential buyer may submit an offer for 10 units at $80. You could submit a counter-offer explaining that in order to get that price they would need to purchase all 20 units. If they agree and complete the order you just increased the revenue on the order by 60%! We are considering the plugin, mainly because you also provide the extension for WC Vendors Pro plugin (which we are already using). But now things seem a little bit uncertain, since we cannot hear from you on wordpress.org anymore. We have tested the current free Offers plugin and encountered some issues due to improper wc_price / currency formats, so we are waiting for some improvements. Hi, sorry for the confusion about that. We are moving all of our stuff to self hosted servers. We have already fixed the wc_price issue in our Git repo, and are just doing final testing before releasing the update. Make sure you have our Updater plugin installed, and you’ll get notices and automated updates going forward. Let me know if you have any questions or concerns about that. Thanks! Not sure what happened with the plugin? The github repository was removed and it’s gone from WordPress plugin repository. Can you shed some light what is going on? Plugins don’t disappear for no reason from WP and usually if there os no clear info about why it has been removed it’s because there has been some vulnerability found. Should we get worried? Very sorry for the confusion. 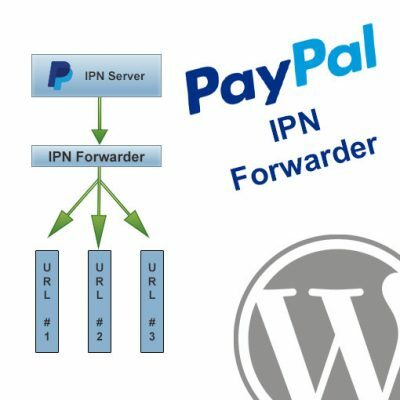 We are moving our plugins to self-hosted solution instead of WP directory. I can assure you there is no security concern or vulnerability found in our plugin(s). 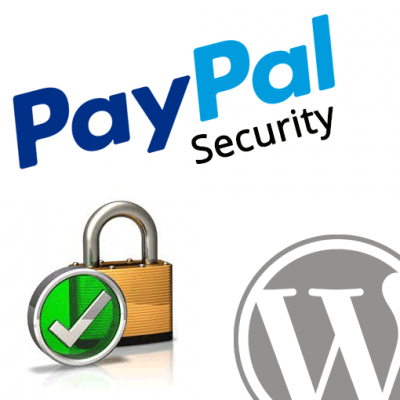 You can download them from us directly and everything will be safe and functional just as before. All of our future updates will go through our own Angell EYE Updater plugin. Please install that so you can stay updated with us. Very sorry again for the confusion with this transition period. Just let me know if you have any other questions or concerns and we’ll get you taken care of. Thanks! Oh, by the way, the download here is fixed. Sorry about that! Checked around and can’t find anything as good as OFFER for WooCommerce. Only issue for me is I’m currently using Wc Builder with Divi and find the product page buttons don’t work/ render properly. Wish there were more options & short code for buttons. But for free, can’t complain! If you want to submit a ticket here we can get that into our help desk queue, and into the product backlog. If you can provide a copy of that plugin for development purposes that would be great as well. We’ll see if we can reproduce the problem, and make any adjustments on our side that we can to fix the problem. The plugin is perfect, works like you expected it. I really don’t like putting on sales as such as I think these days customers have become a little desensitised to sales messages – especially when it seems like some sites have a sale on permanently. So I was looking for something that will grab a potential customers attention by giving them the opportunity to grab a genuine bargain on their own terms. If this is also you look no further – this plugin does just that!! Grabs attention with a Make me an Offer button that can be customised to fit your sites design then gives you the chance to converse with a potential client who may otherwise have walked away. This plugin also gives you a great way to move some older stock that may otherwise have just sat idle. It can even be set up to run on autopilot – how cool is that!